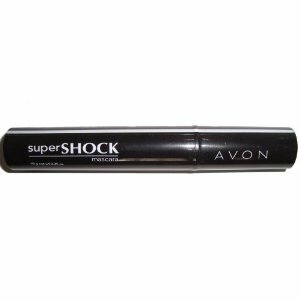 Avon Supershock Mascara has been created to expand, plump lashes for a false lash effect and is available in black or brown. The wand and veil is devised to give up to 12x more volume with one dip. The teal plastic fine combed applicator picks up the maximum amount of formula possible to coat all lashes evenly with one sweep, according to Avon. All Avon mascaras are always hypoallergenic and opthalmologist-tested, so should be suitable for even the most sensitive skin. Avon is an ever growing popular brand that is starting to spread its seeds all over the world. I like the brand as its usually cheap and effective. BIS-PEG-12 DIMETHICONE BEESWAX, TRIETHANOLAMINE, AMMONIUM ACRYLATES COPOLYMER, CYCLOPENTASILOXANE, GLYCERIN, GLYCERYL STEARATE SE, PARAFFIN, PROPYLENE GLYCOL, AMINOMETHYL PROPANEDIOL, SORBITAN SESQUIOLEATE, CELLULOSE, HYDROXYETHYLCELLULOSE, POLYQUATERNIUM-10, GALACTOARABINAN, SODIUM HEXAMETAPHOSPHATE, STEARYL DIHYDROXYPROPYLDIMONIUM OLIGOSACCHARIDES, TETRASODIUM EDTA, SODIUM LAURETH SULFATE, STEARDIMONIUM HYDROXYPROPYL PANTHENYL PEG-7 DIMETHICONE PHOSPH.CHLORIDE, DIMETHICONE, POLYQUATERNIUM-11, POLYQUATERNIUM-7, TIN OXIDE, LAURETH-30, SORBITAN STEARATE, PEG-40 STEARATE, SILICA, METHYLPARABEN, PROPYLPARABEN, PHENOXYETHANOL. All in all a very popular choice of mascara with most patrons relishing how it separates and thickens lashes. There was one user that pointed out a obvious minor floor to the applicator. It doesn't taper in at the end like most wands, so it makes it harder to coat the small inner lashes without making a mess. At $3.99 for a .35oz veil it is a very reasonably priced mascara, considering most are at least double that price. This entry was posted on Saturday, October 2nd, 2010 at 12:36 pm	and is filed under Avon, Make Up, Mascara's, Reviews. You can follow any responses to this entry through the RSS 2.0 feed. You can leave a response, or trackback from your own site.